On TV- Some good shows this week – Dancing with the Stars, 98 degrees fans voted more than N Sync fans as we said goodbye to Joey Fatone – Grey’s Anatomy – flashback to what happened after the plane crash, we got to see Mark one last time. Scandal– does anyone else think it’s dumb that The President and Olivia really believe they are on a secure line? Once Upon a Time – Welcome Back to Storybrooke! And we’ve fallen down the rabbit hole again! Revenge – I knew there was no way Victoria was dead! 666 Park Avenue – a little too “Devil’s Advocate” for me, not sure if I’m keeping this one on my lineup. For more about your favorite TV shows, including episode recaps, check out My Color TV. 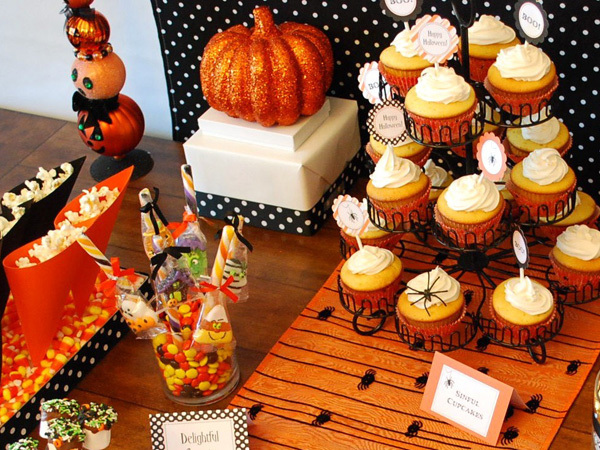 Love From the Oven – Halloween Dessert Table Ideas -Bites from Other Blogs – perfect for your next Halloween party. 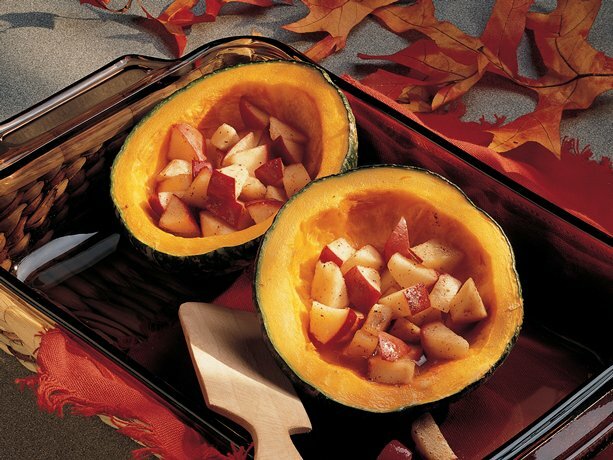 Buttercup Squash with Apples – delicious, warm, dish – perfect for the fall season. 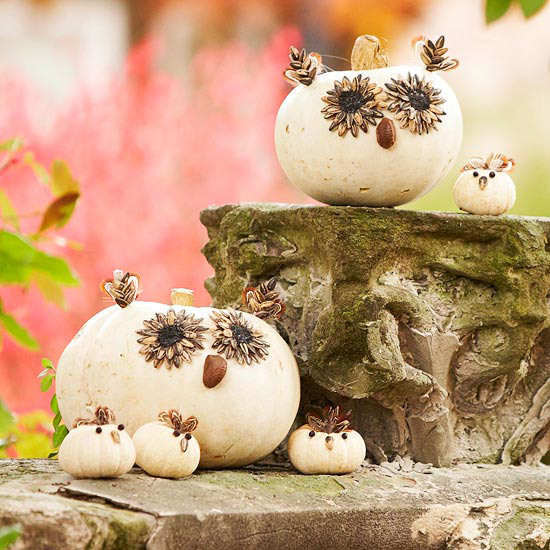 Outdoor Halloween Decorating with Pumpkins – cute owls you can make out of pumpkins. 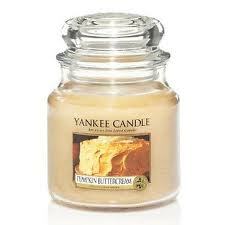 Yankee Candles – great deals on all your favorite scents.Up to 60% off some candles and accessories. 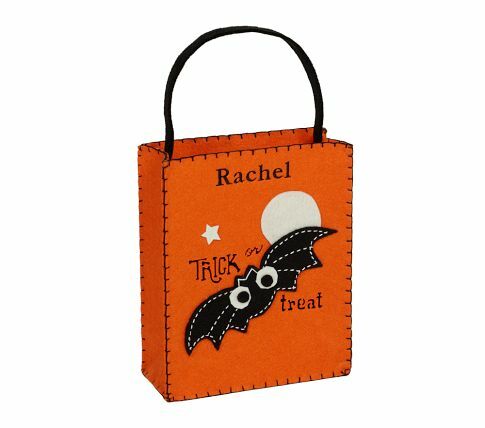 Pottery Barn Kids – Treat Bags for Halloween -adorable treat bags to carry all your candy, you can personalize them too! 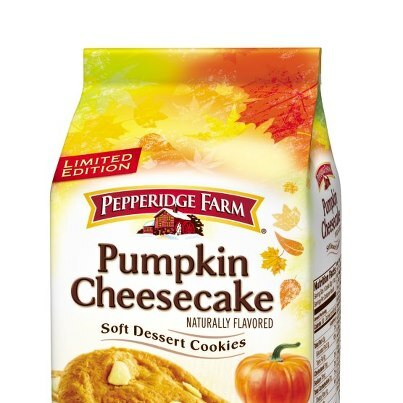 ‏Pepperidge Farms Pumpkin Cheesecake Cookies – I bought a bag of these and ate half of them watching Thursday night TV last night (Thanks, Shonda Rhimes.) I won’t even bother posting the Weight Watchers points! What were some of your favorite things this week? Leave me a comment and let me know what you are up to and what things out there you love! We are very close to having a winner of the 300th comment contest. It could be you! Happy Friday – have a fantastic weekend and thanks for stopping by and reading! Parenthood was great, as usual. I started watching a show called Elementary with Johnny Lee Miller and Lucy Liu-I enjoy it-I’m a big Sherlock Holmes fan. I think for me this week my fave was Glee! It was the “Break Up” episode do it wa sad but the arrangements of the dogs they sang were wonderful, and I love that they are now in NYC half the time. Great squash recipes–I went to the site and got some more! I did too! They all look delicious!